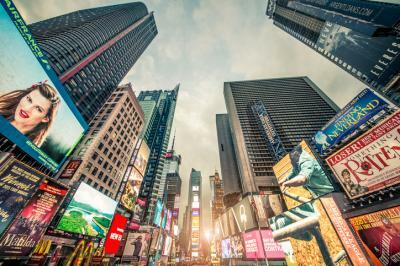 The US is the largest advertising market on the planet, with over $180B dollars spent last year alone. Companies also go out of their way to find unique places to advertise to capture customers. Tray tables on airplanes and stamped-on eggs are a few original ones we have seen. Believe it or not, outer space is another place where some companies are advertising. Because of all this, people are inundated with advertisements, but despite this reality, 50% of Americans say they would voluntarily receive personalized advertisements and communications from their bank. Community banks should take notice of this fact and leverage it up. One of every two Americans with a bank account would willingly receive personalized advertising and marketing communications from their banks, based on the findings of an online survey by analytics company, Segmint. Of course, the key to the survey's findings is the fact that bank customers aren't interested in being bombarded with random pitches about products. Instead, people want personalized advertisements relevant to their lives. As with all things tech-related, the survey also found that millennials have the greatest interest in targeted bank advertising, aimed at providing them with guidance to reach personal finance goals (such as paying off college loans or saving for a down payment on a house). The survey found that 67% of millennials with bank accounts would be up for receiving targeted ads, compared with 42% of bank customers who are 45 or older. Banks have an opportunity to reach out to more customers directly. Start by thinking of the best approach to discuss targeted offerings through advertisements. Here, Segmint's survey discovered that even though 49% of bank customers say they would be receptive to relevant advertisements from their bank on various online and mobile platforms, 57% of customers said they don't come across any advertisements from their bank (other than through the bank's website or mobile app). Further, the success rate of community bank efforts to reach customers through online advertising and marketing programs is only slightly better than similar efforts by credit unions. According to Segmint's findings, 72% of individuals with local credit unions say they never come across online ads from those organizations outside of their own websites and that number drops just a bit for community banks at 69%. As for areas to improve here, community bankers should note the survey found only 44% of large national banks customers say the marketing they receive is limited solely to the bank's websites and mobile apps. Interestingly, gender also plays a role in how likely customers are to be receptive to targeted online advertising websites or mobile apps. Here the survey found that 52% of men and 46% of women were amenable to such ads - so be sure to segment. Community banks may not think they need personalized ads for customers, since you already know them. However, personalized advertisements may not only help you increase product sales, but also enhance customer loyalty by reducing the possibility of customers being lured away to competitors using high frequency advertising. Not everyone can resist a tempting ad. Yields ended flat on the day, as investors easily consumed $12B of 30Y bonds at the auction and awaited word of an almost certain +25bp rate hike at today's FOMC meeting. Research by Deloitte finds 75% of large corporate executives and private equity investor respondents believe M&A deal activity will increase next year and 64% expect deal size to also increase. Research by Smith finds 65% of Americans believe computers and robots will take over the work people do now within the next 50Ys. Of note, research by Korn Ferry finds 44% of leaders of large global businesses believe robotics, automation and AI will make people "largely irrelevant" in the future (when it comes to work). Pew Research finds the percentage of those who were single when they were age 18 to 28Ys old by cohort are: millennial (75%), Gen X (67%), Boomer (52%), and Silent (43%). FDIC data finds that over the past 10Ys securities holdings at commercial banks with assets <$100mm has slipped 51%, while securities held by banks with assets $100mm to $1B has climbed 3%. Research by the Kauffman Foundation on small businesses finds those states with the highest rates of female business ownership are: Portland, San Francisco, Miami, San Diego and Los Angeles. Of note however, the research also found the ownership rate for women was 3.9% vs. 8.2% for men. PwC Research finds 23% of baby boomers who plan to delay retirement are doing so as a result of too much debt. The Fed reports the value of people's homes minus the balance due on mortgages has surpassed $13T for the first time since 2006. Research by the Bureau of Labor Statistics finds the share of farm employment has declined from 40% back in 1900 to only 2% as of 2014.